How far along? 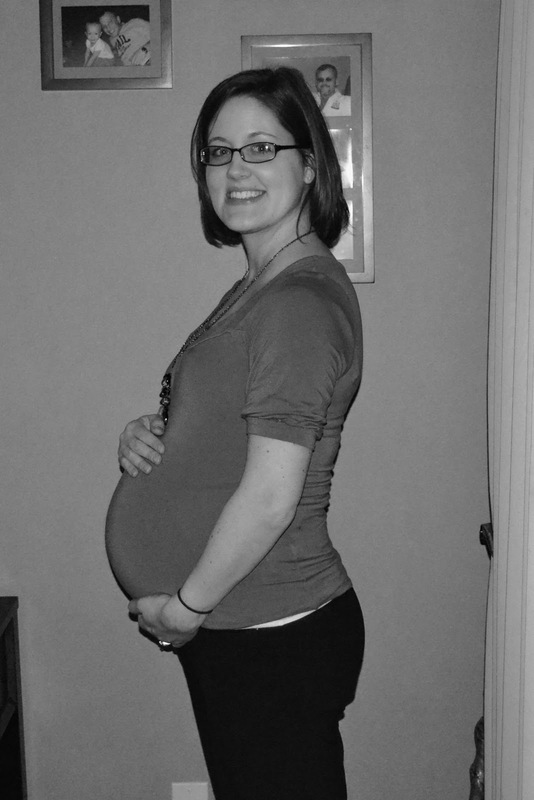 34 weeks and 3 days! How big is baby? Possibly as large as six pounds??? More on that in a different post. Weight gain? I’m at 27 total now. BUT…I managed to only gain two pounds during the two and a half week stretch that included our Christmas celebrations and traveling food. So…I call that a win! Maternity clothes? I bought a little sweater/cardi/thing from Charlotte Russe. It is not maternity, but I’ve convinced myself it improves every outfit and may be seen wearing it every day for the rest of my life. Sleep? It comes and goes. Mostly goes. Nursery update? Bookshelf arrived and is assembled and decorated! We need to hang wall stuff, then we’re done! We’ve also assembled and “stocked” the pack n play, as well as the swing. J is putting the high chair together as I type! Pics coming soon! High point? Christmas with the families, and getting to meet our new niece! Low point? Too much time in a car. What am I looking forward to? A long series of weekends at home! Yay! LOve it! you look so cute!